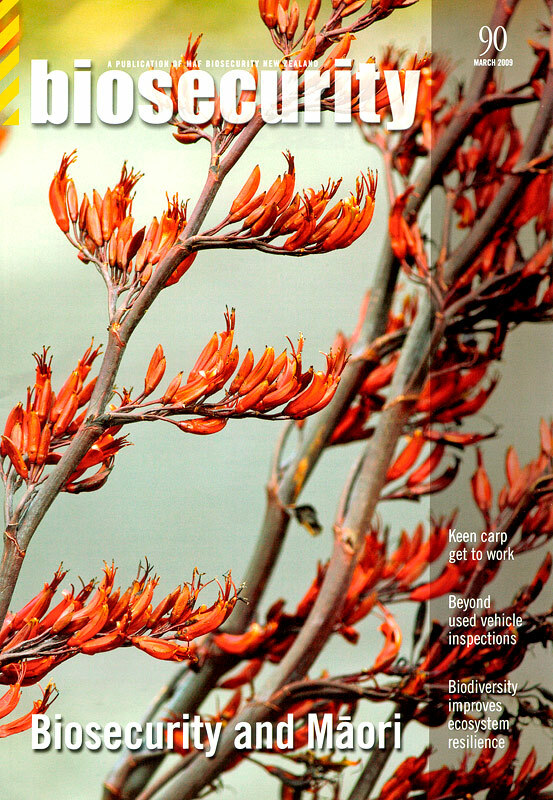 Another nice cover printed with our photography…this time the cover of the Biosecurity Magazine…. the publication of the Ministry of Agriculture and Forestry Biosecurity New Zealand Unit. Image is of New Zealand native Flax flowers, a very iconic flowers to Kiwis, and a favourite image of Rob’s. See other Flax flower images available from Nature’s Pic Images. And, remember that we cater to numerous Government Departments, and offer a Government discount, so if you have a job in mind, please drop us a line for image samples and/or quotes. You're reading New work just in…. published cover image at Nature’s Pic Images Blog.